In the 1960s, Wisconsin experienced a large spike in student enrollments as the baby boomers graduated from high school and looked for advanced educational opportunities. Waukesha County, in particular, saw a tremendous increase in population as families moved west from Milwaukee along the new Interstate 94 corridor. Wisconsin’s flagship university in Madison could not accommodate this soaring student demand, and even the four-year campuses across the state were filled to capacity. To meet this need for increased university access, the state created a two-year college system The University of Wisconsin-Waukesha opened its doors in 1966. Local taxpayer support was part of the funding formula. The county purchased over eighty acres on a hill on the west side of the city of Waukesha, close to the interstate and easily accessible for students from across the area. The school provided courses in all of the major fields of the liberal arts and also some pre-professional programs. In 1974, a unified University of Wisconsin System was created, a system that put two major universities (Madison and Milwaukee), thirteen four-year campuses, thirteen two-year campuses, and the Extension under one umbrella The plan allowed for smooth transfers of credits from one institution to another and provided centralized policy and planning. Each of the two-year campuses was led by its own Dean, and the two-year colleges were headed by a separate Chancellor. But all campuses in the state came under the leadership of one System President and one Board of Regents. Within the next four decades, the University of Wisconsin-Waukesha, like the twelve other two-year campuses, experienced significant growth. It renovated and added more buildings along the way, including a fine arts building, a campus center, and a gym. It also enrolled students from across the county and beyond, growing to an enrollment around 2,200 students. They are served by more than 160 faculty and staff in a full range of freshman and sophomore college courses. It also provided additional curricular and extracurricular opportunities in the fine arts and athletics, with a number of campus musical groups and theatrical offerings in its Lunt-Fontanne Theatre. 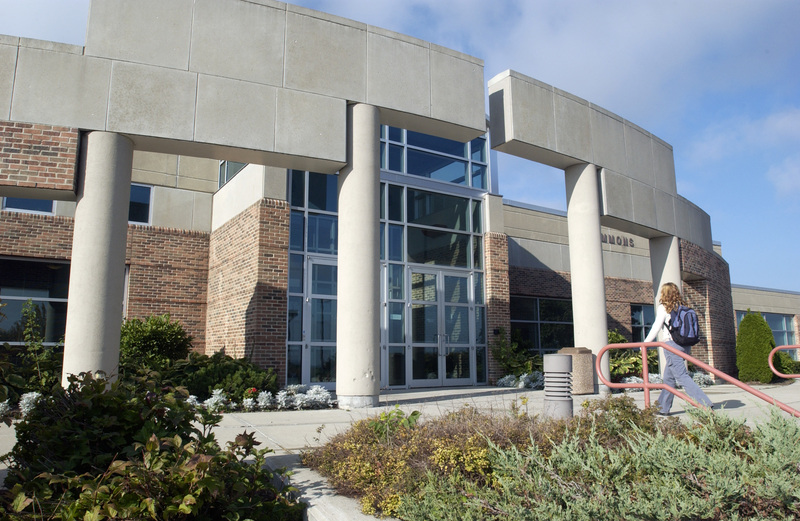 In 2018, University of Wisconsin-Waukesha campus became part of the University of Wisconsin-Milwaukee. ^ Ellen D. Langill and Jean Penn Loerke, eds., From Farmland to Freeways, A History of Waukesha County, Wisconsin (Waukesha, WI: Waukesha County Historical Society, 1984), 324, and University of Wisconsin-Waukesha website, last accessed March 31, 2017. ^ What Is the UW System, University of Wisconsin System website, last accessed March 31, 2017. ^ Karen Herzog, “Merger of University of Wisconsin Campuses Goes Full Steam Ahead, Despite Calls to Slow Down,” Milwaukee Journal Sentinel, November 9, 2017, last accessed May 29, 2018. Langill, Ellen D. “History of Education in Waukesha County.” In From Farmlands to Freeways, A History of Waukesha County, Wisconsin, edited by Ellen Langill and Jean Penn Loerke, 275-327. Waukesha, WI: Waukesha County Historical Society, 1984.